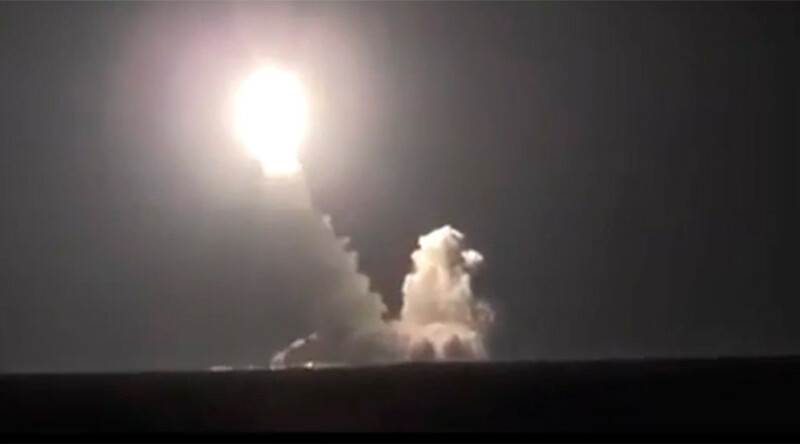 The Russian strategic submarine, the Vladimir Monomakh, has carried out a double Bulava ballistic missile test launch from a submerged position in the White Sea, successfully hitting two targets in the Kamchatka region in Russia’s Far East. “Salvo firing from a submerged position was made in accordance with the plan of combat training. The parameters trajectory of two ICBM 'Bulava' worked normally. As confirmed by objective monitoring, the missile warheads successfully arrived at the Kura test site in Kamchatka,” the Defense Ministry’s press service reported. The Vladimir Monomakh joined Russia’s Northern Fleet in late September 2014. The vessel is a fourth generation Russian strategic nuclear submarines, which has been constructed by the Rubin Marine Equipment Design Bureau. It is the third sub of the Project 955 Borei class, which is meant to replace the Typhoon and Delta IV class submarines, by incorporating the most advanced technologies. The pump-jet propulsion nuclear sub is designed to be quieter than its predecessors, enabling the vessel to evade enemy ships and detection. In terms of the firing power, Borei class vessels are equipped with 16 Bulava missile pits, four 533-mm torpedo launchers and another four pits for 650-mm torpedoes. The Bulava missile is capable of delivering up to 10 individually targeted maneuvering nuclear warheads to a distance of up to 8,000 kilometers – or a lighter payload up to 11,000 kilometers. The $700 million Borei class vessel, stations a crew of 107 people. By 2020, Russia plans to have at least eight of these submarines in its Navy. Russia wants the Borei-class submarines to be the backbone of the naval component of Russia’s nuclear deterrent until at least 2040.